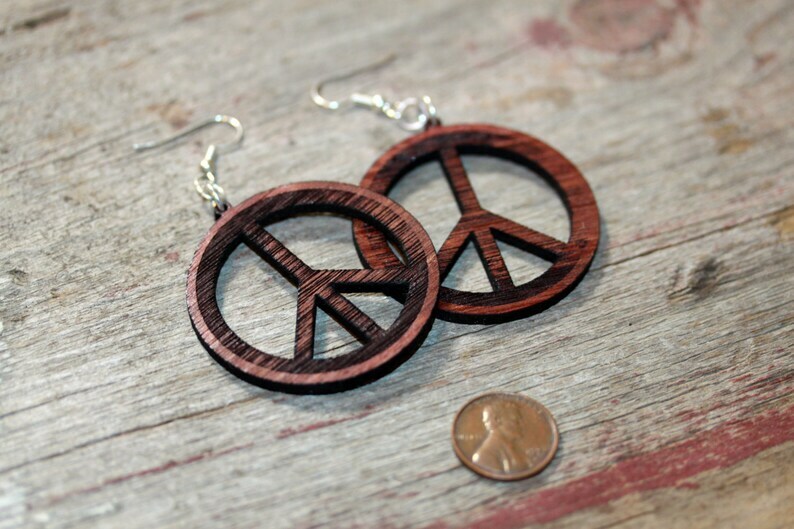 Laser cut wood peace earrings. These earrings come with silver colored surgical steel ear wires for those sensitive ears! These are made out of purple heart wood. They are pretty durable and should last you a long time as long as you take care of them. Oh My Gosh!!! These ear-rings are way more better than I imagined them, they are amazing!!! Thank you Thank you!! You Rocked these earrings!! And they got here so quick! !